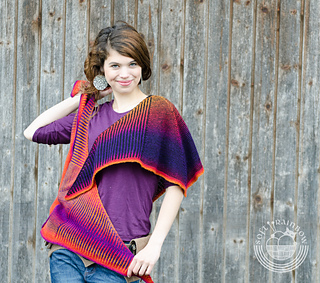 combined with a solid color! 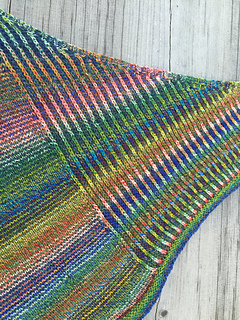 27 sts x 44 rows in 10 cm (4 inches) in st st.
yardage and the final size of the project as well. 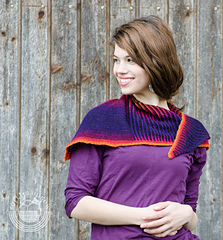 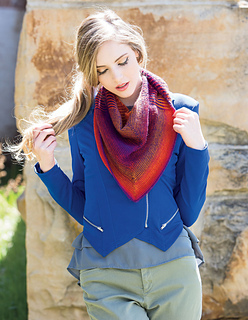 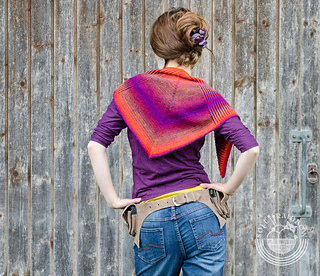 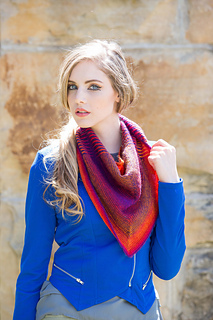 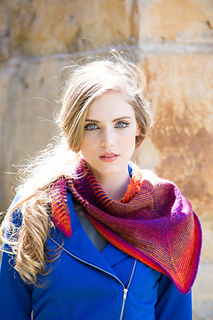 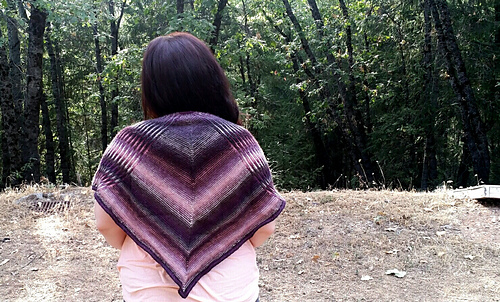 A touch of brioche at the very edges of this top-down triangular shawl adds a bit of interest. 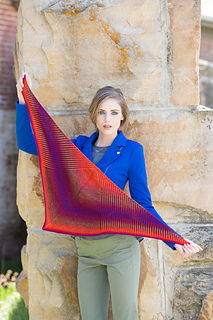 A long color-repeat yarn, worked using two balls in a striping sequence, creates a striking coloring effect.